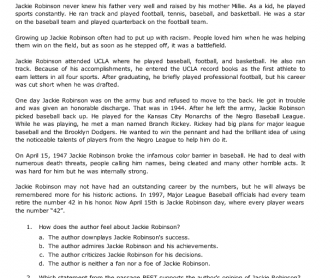 Jackie Robinson was a famous baseball player that ESL students who are also baseball fans may be familiar with. 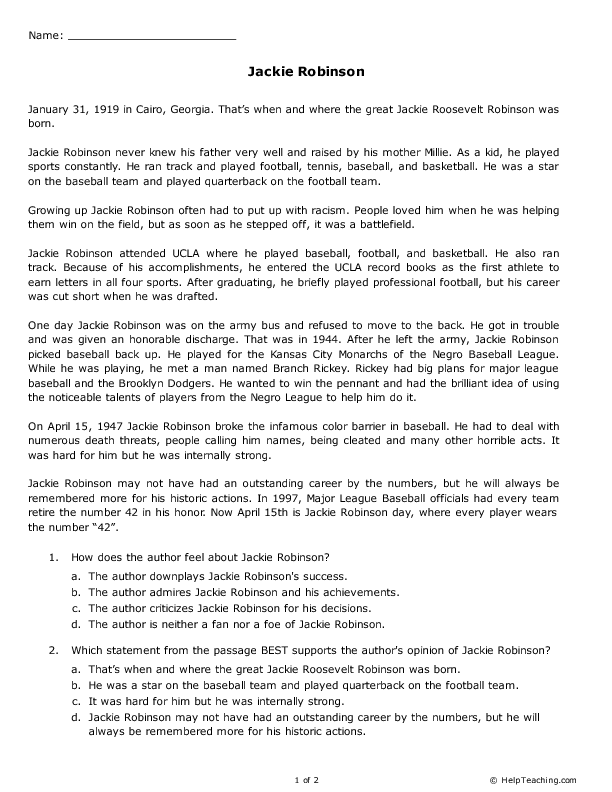 This reading passage tells a little bit about Jackie Robinson's life. Students can use this passage to build their reading comprehension skills. Find more informational reading passages on HelpTeaching.com.